It is my great pleasure to send my greetings to you through Mayor Koichi Saito of Mihama Town, Aichi Prefecture. The relationship with the United States is the most important bilateral relationship for Japan. The history of this relationship began over 160 years ago when thee men from Mihama Town – Iwakichi, Kyukichi, and Otokichi – landed at Neah Bay after drifting at sea for fourteen months, becoming the first Japanese to set foot on America. Since then, although there have been dissonant and bitter moments at times, Japan and the United States have enjoyed overwhelmingly friends relationship. 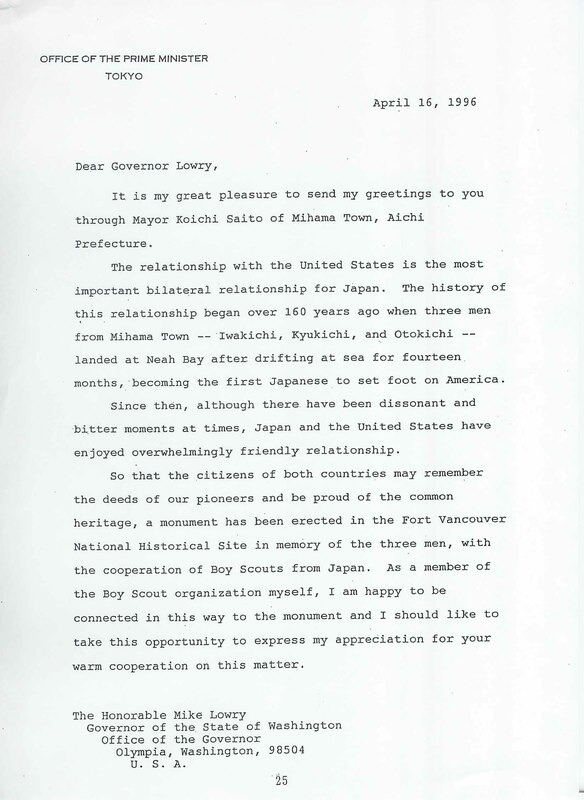 So that the Citizens of both countries may remember the deeds of our pioneers and be proud of the common heritage, a monument has been erected in the Fort Vancouver National Historical Site in memory of the three men, with the cooperation of Boy Scouts from Japan. As a member of the Boy Scout organization myself, I am happy to be connected in this way to the monument and I should like to take this opportunity to express my appreciation for your warm cooperation on this matter. 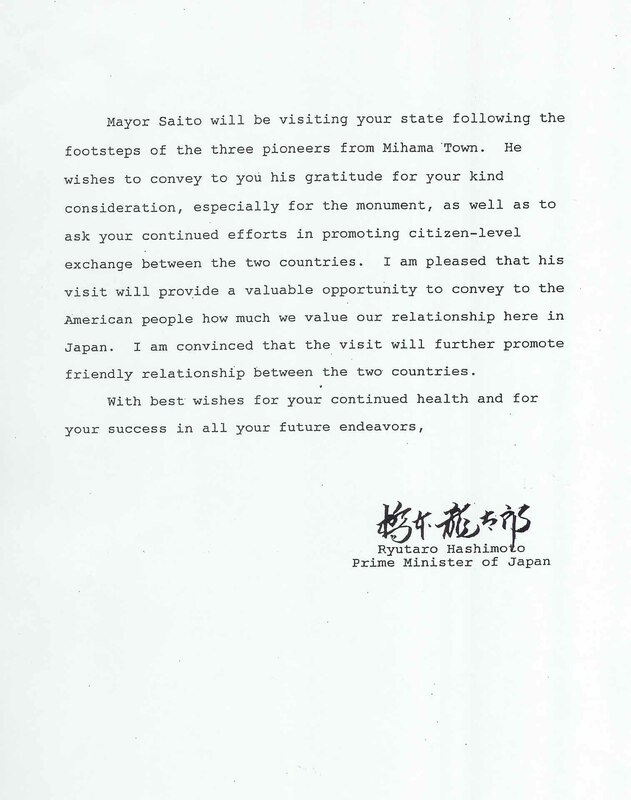 Mayor Saito will be visiting your state following the footsteps of the three pioneers from Mihama Town. 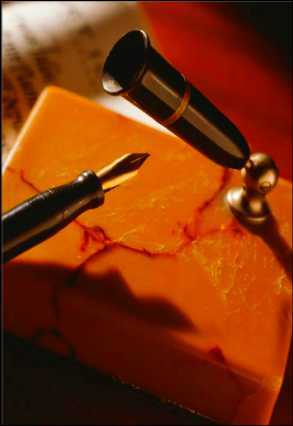 He wishes to convey to you his gratitude for your kind consideration, especially for the monument, as well as to ask your continued efforts in promoting citizen-level exchange between the two countries. I am pleased that his visit will provide a valuable opportunity to convey to the American people how much we value our relationship here in Japan. I am convinced that the visit will further promote friendly relationship between the two countries.